VERIFIED Closing Date: Nov 22, 2018! No work experience wanted! Youth with Grade 12/Matric wanted for this contract. Earn stipend salary while being trained for free in Admin/Clerical/Office Support in Midrand (Gauteng). Deadline is Nov 22, 2018! No work experience wanted! Youth with N3 or Grade 12/Matric or NCV 4 wanted for this contract. 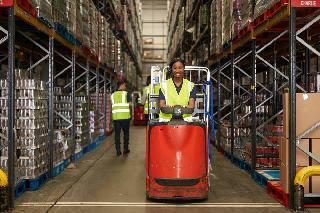 Earn stipend salary while being trained for free in Distribution/Warehousing/Freight in Midrand (Gauteng). Deadline is Nov 22, 2018! VERIFIED Closing Date: May 01, 2018! No work experience wanted! Youth with Grade 12/Matric or Diploma wanted for this contract. Earn stipend salary while being trained for free in Artisan/Electrical/Technical and Trade in Durban (KwaZulu/Natal). Deadline is May 01, 2018!